Flying a drone can comes with quite a bit of risk without the right safety protocols. Weather, pilots, equipment, and many other factors can make a normal flight very dangerous for bystanders on the ground within a matter of seconds. That is why our team of licensed drone operators wanted to address three factors that are crucial to drone safety. A large part of ensuring drone safety on-site comes down to record keeping, debriefing and post-flight maintenance. These precautions ensure that your client, your team and any bystanders are confident in your ability as a drone operator to carry out the mission safely and efficiently. The first essential rule regarding drone safety is once a flight has been completed the time of flight must be logged. This will include the start and end times of the flight and the duration and also any incidents must be noted and logged (or reported depending on the severity of the incident). The UAV will be inspected and any maintenance that is required must be recorded. This will help immensely as you continue to complete more flights, because you can be proactive about UAV maintenance and safety; especially if the FAA ever has questions about your flight history. Another great habit to improve drone safety follow directly after the flight. In this part of the process, the crew will be debriefed on the aspects of the flight and how it went. If there were any minor incidents or occurrences this would be a good time to notify the crew and discuss how to prevent similar events from happening in the future (in the event of a major incident please see the emergency actions page). After the UAV has safely landed, powered down and the battery removed the crew will then be able to inspect the UAV for signs of wear and tear or damage. If any is found it must be recorded and the appropriate steps need to be taken in order to replace or repair the existing parts. After any maintenance the UAV must be tested in a safe area to confirm that it is airworthy and ready for your next mission. This step is often skipped over and laughed at, but there is a lot of merit to training as a pilot when it comes to drone safety. Obviously, as the cliche saying practice makes perfect states, the more you fly, the better pilot you will be. More importantly though, the more you train as a pilot, the less risk you pose to your clients and the pedestrians around you. Drone safety is a crucial focal point because all it takes is one incident to ruin an entire career. 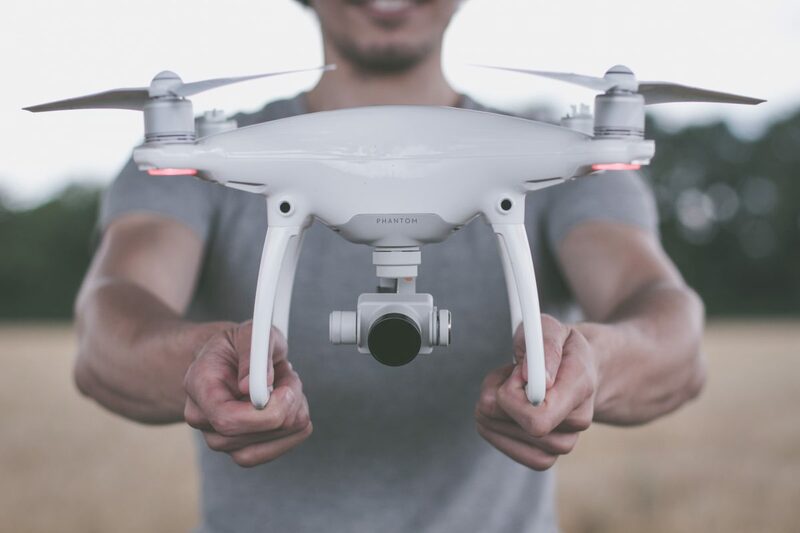 Thinking of Starting Your Own Drone Business? Michael is a passionate digital entrepreneur who turned his passion for drones into a resource for anyone who is interested in starting a drone business. Michael is also the founder of the @dronemultimedia Instagram page which serves as a platform to showcase the best drone photography and videography from around the globe.